The stars of The Room. Greg Sestero is at far right. “Most bad performances are met with silence. This was something else. There were murmurs. There were giggles. Everyone knew they had just witnessed one of the most beautifully, chaotically wrong performances they would ever see.” That’s how Greg Sestero describes Tommy Wiseau’s acting-class performance of a scene from the 1951 classic A Streetcar Named Desire, but it might also describe the way audiences react to Wiseau’s 2003 film, The Room, which has been labeled as “the Citizen Kane of bad movies”—a work so senseless and incomprehensible that you can’t help but be entertained. 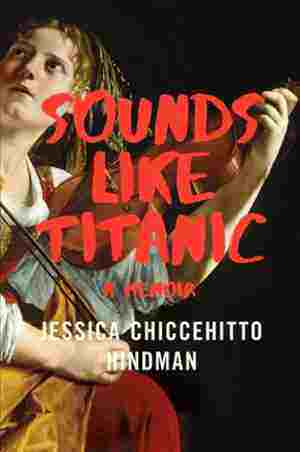 “[It’s] filled with red herrings, shots of locations that are never visited, and entire conversations comprised of non sequiturs,” offers Sestero, attempting to describe what was intended to be a serious love-triangle melodrama, but morphed into a cult-favorite comedy. In the book “The Disaster Artist: My Life Inside The Room, the Greatest Bad Movie Ever Made” (Simon & Schuster), Sestero revisits the making of the film and his relationship with the mysterious and vampire-like Wiseau, who wrote, produced, directed and starred in The Room, spending $6 million of his own money to bring his disorienting vision to life. At the time of production, cast and crew were well aware that the movie was embarrassingly awful. Watching scenes being filmed was “as horribly transfixing as watching a baby crawl across the 405 freeway,” writes Sestero. No one expected The Room to be seen by the public, but Wiseau paid a Los Angeles theater to screen the movie for two weeks, where it earned a mere $1,800 at the box office. 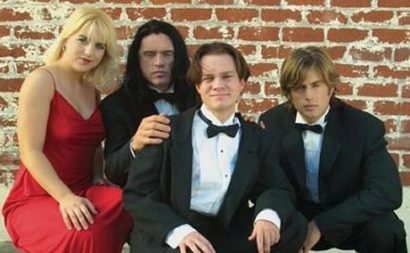 “Having a film play for two weeks in theaters [is] a prerequisite for all films submitted to the Academy Awards,” explains Sestero, “which had always been Tommy’s ultimate goal.” Never mind the near non-existent box-office receipts and the solitary review, which likened watching The Room to “getting stabbed in the head.” Wiseau continued to promote the film, spending five-thousand dollars a month—for five years—on a billboard in Hollywood that featured his headshot and home phone number. Never mind that the movie wasn’t playing anywhere, except for screenings arranged and paid for by the filmmaker himself. But one can credit Wiseau’s never-say-die attitude (and deep pockets) for the film’s eventual commercial success. Thanks to a few devoted fans and a smattering of high-profile media coverage, The Room developed into a cult favorite, complete with Rocky Horror Picture Show-like audience participation rituals. Ten years after its premiere, The Room is a top-selling independent film and screens to sold-out crowds around the world. Meanwhile, Wiseau “continues to believe that his is the greatest film of all time,” says Sestero. All of which proves that a lack of self-awareness can take you a long way, provided you have a seemingly unlimited supply of money. Following is an excerpt from Failure’s recent conversation with Sestero. Take me back to the days when you were filming The Room. What was it like making the movie? It was surreal. Watching people react to the project was entertaining and at the same time maddening because anytime we would build any sort of momentum things would crumble and we would have to start over. It was almost like we were all just trying to survive the making of the movie. Did you expect anything positive to come from being a part of The Room? Most people, when they work on a project, they believe in it and see it as a launching pad. For me it happened to be something that I stumbled into at the last minute at a young age when you don’t think too far ahead. It ended up bringing me the most of anything that I’ve ever worked on—and it was the least I ever expected. It just goes to show that in life you never know what’s on tap. When did you come to the realization that The Room might be something more than what you expected? I knew there was something really comedic there but I didn’t know if it was just because I knew Tommy personally and knew the whole strangeness of it. I didn’t know if a regular audience could really see it. But when I showed it to my family, my dad—a restrained man who enjoys the daily newspaper’s crossword puzzle and going to bed at 9 p.m.—laughed so hard that he had to take off his glasses every few minutes to wipe the tears from his eyes. Then at the premiere the crowd was laughing the whole way through. But there are so many movies made every year that are really great that never see the light of day. So I thought that this one, there was no chance. It was a huge surprise. Can you watch The Room all the way through? No, there’s parts of it I can watch but it is tough [for me] to sit through the whole thing, especially the first fifteen minutes. If you can survive that, you’ve got a chance. Do you have a favorite audience participation bit? Tell me how The Room was inspired by The Talented Mr. Ripley. You know how there’s always a project—a book or a movie—that makes you want to be creative and do something on your own? Well, The Talented Mr. Ripley evoked something in Tommy where he felt he had a story he really wanted to tell. Maybe he didn’t know it at the time, but I’m sure he saw a lot of himself in the character of Tom Ripley, who wants to belong and feels like there’s nothing wrong with him and [asks]: Why isn’t he accepted and why isn’t he looked upon like Dickie Greenleaf? I think there’s a sense of rejection that Tommy felt he didn’t deserve, and he decided he was going to make his own movie to share with the world. What is the biggest misconception about The Room? It’s that Tommy was playing everyone—that he was trying to make it intentional. He was trying to make an earnest film about life and his experience and it’s as sincere as a film can get, which is what people really respond to. What’s your favorite response that anyone has had? I love it when people say: I feel like my life has been changed forever. That’s always great because every time you do something creative you want to affect someone deeply. It’s funny that this movie does that in the opposite way it intended to. Do you now think differently about what constitutes artistic success or failure? There’s a perception of what you think is an artistic success but really what it comes down to is what the audience responds to. If I write a book that I think is good but nobody responds to it, where is the enjoyment for me? It’s really about making an audience entertained and inspired. In a lot of ways The Room is an artistic success because it has captivated so many people. 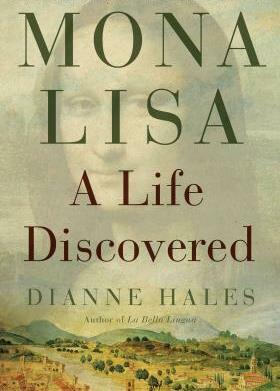 Mona Lisa—The woman everyone recognizes but no one knows.